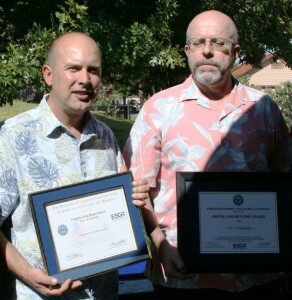 Jason Schrott, senior executive director of university development and military outreach, accepted Grand Canyon University’s Above and Beyond Award, nominated by MSgt Alan Munro, ANG. At our October meeting and barbecue outing at McCormick-Stillman Railroad Park in Scottsdale, the following ESGR presentations were made. 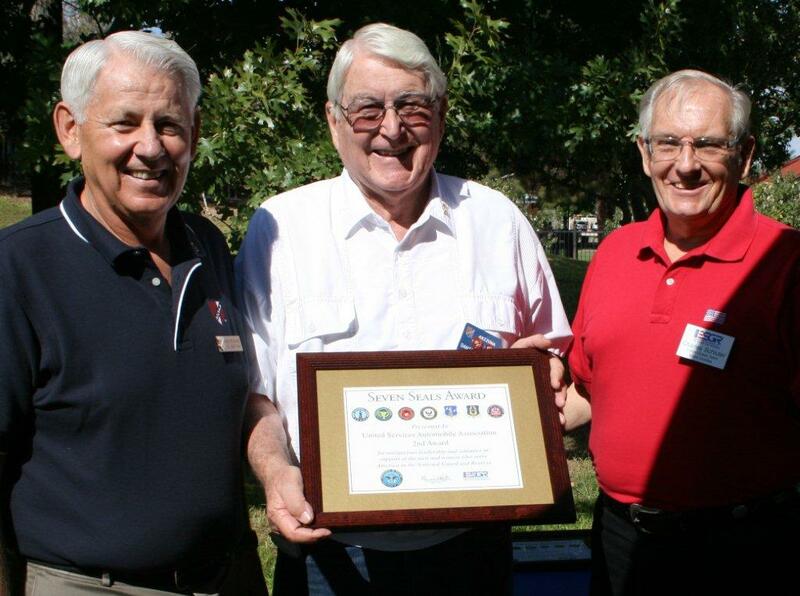 Unless otherwise indicated, pictured on the left is MOAA Chapter President Col Ron Perkins, USAF Ret., and on the right, MOAA AZ Chapter’s ESGR Liaison & Past Chapter President COL Chuck Schluter, USA Ret. 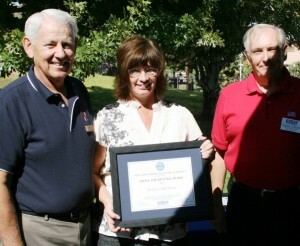 Brandi Haskins, Westview High School Principal, accepted the school’s Above and Beyond Award. SSG Benjamin Geiger, USAR, nominated the school. 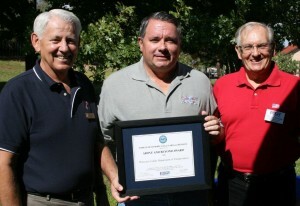 MOAA Chapter member CAPT Dan Conway, USCG Ret., accepted the Seven Seals Award for USAA, which was nominated by PO1C Nicholas Curry, USNR. SMSgt David Cross, USAFR, nominated the Maricopa County Department of Transportation, and accepted the department’s Above and Beyond Award. 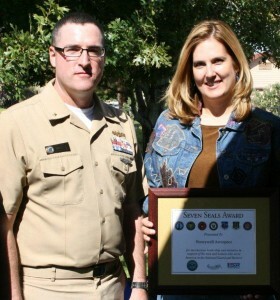 Dondi Kratzenstein, Honeywell director of defense and space programs, accepted the Seven Seals Award, accompanied by LTCDR Jeffrey Miller, USNR, who nominated Honeywell. 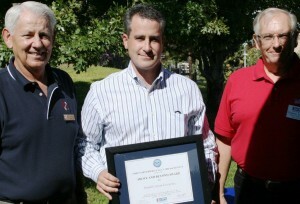 Jonathan Flatt, senior material technician (left), and Greg Rodzenko, assistant city engineer, accepted the Above and Beyond Award and Patriotic Employer Award for the City of Glendale and Glendale Engineering Department, nominated by SFC Brian Low, USAR.